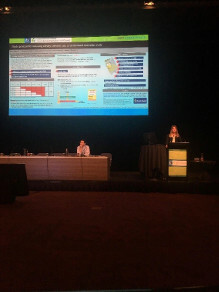 The study was undertaken in one large Australian public hospital between November 2017 and May 2018. Ethics: Approval has been obtained from the Human Research Ethics Committees Queensland Health (HREC17QTHS19) and Avondale College of Higher Education (2017:15). 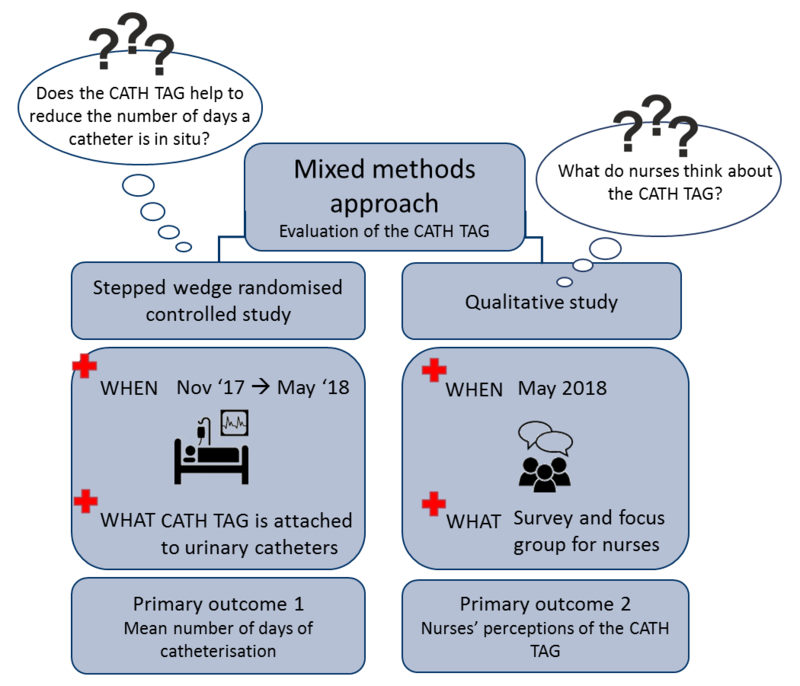 The CATH TAG study aimed to evaluate whether an electronic reminder system was effective in reducing the usage of indwelling urinary catheters and whether this electronic reminder system had an effect on nurses’ ability to deliver patient care. 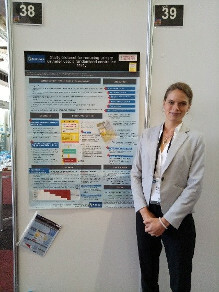 The overall objective of the study was to contribute to research aimed at reducing catheter-associated infections (CAUTIs). 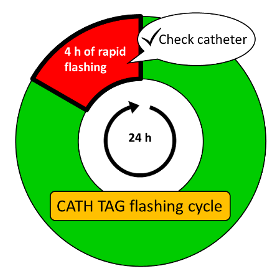 During the intervention period a CATH TAG was attached to every indwelling urinary catheter on ten wards in one large Australian public hospital. The CATH TAG is an electronic device in the form of a sticker. It is attached adhesively to the catheter bag. It is small and light-weight and has a non-intrusive green light that flashes intermittently (once/minute) upon activation. The alternating red and green flashing light is an indication for the nurse to reassess the ongoing need for an indwelling urinary catheter and remove it if no longer required. The study used a mixed methods approach in which both, quantitative and qualitative data was collected. The quantitative part included a stepped wedge randomised controlled design. The qualitative part consisted of an online survey and a focus group for nurses. What is a stepped wedge randomised controlled design? The stepped wedge randomised controlled design means that each ward has an intervention period AND a control period. The wards are changing over to the intervention at different times. Analysis is undertaken of the change within each ward before and after the intervention. After a baseline, every 4 weeks, two wards would change over to the intervention. The wards were randomly assigned to change over to the intervention period. Concluding remarks will be posted here upon study completion (end of 2018).